Place a wine order online. 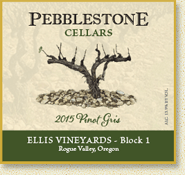 This Pinot Gris is a wonderfully aromatic wine with delicate flavors of pear and citrus. Complementing these aromas and flavors is a rich mouth feel and a dry finish with notes of minerality. Pinot Gris is best served well chilled at approximately 45°F as an appetizer wine with cheese and fruit or with a main entrée of seafood or Asian food. A blend of the -01 and Geneva clones of Viognier, this wine has beautiful and complex floral aromas. Complementing these aromas is a rich full texture with flavors of apricot, pear, and melon balanced with moderate acidity. The wine’s dry finish and balance make it an excellent wine to pair with seafood (especially shellfish), cheese, cream sauces, and poultry. The 2015 Viognier is best served moderately chilled to approximately 50°F. 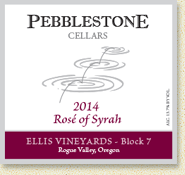 The 2014 Rosé of Syrah was produced by crushing the Syrah grapes and then leaving the clear Syrah grape juice in contact with the skins for 6 hours. It was then pressed and cool fermented in stainless steel like a white wine. 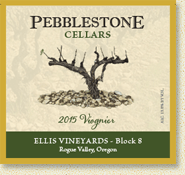 Approximately 5% Viognier was blended into the final wine to enhance aromatics and flavor. The resulting wine has a beautiful light ruby color with aromas and flavors of strawberries with a dry balanced finish. This wine is a rich, well-structured Bordeaux blend of primarily Cabernet Sauvignon and Merlot with smaller amounts of Cabernet Franc, and Petit Verdot. 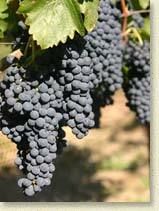 It has a deep garnet color, complex aromas, with flavors of cedar, black current, dark cherry and black raspberry. The 2010 Mélange has well integrated oak and tannins and a long balanced finish. Our 2011 Cabernet Sauvignon is a rich 100% varietal wine with a dark garnet color and generous aromas of black current and cedar. This beautiful old world style wine has a mouth-coating palette of dark cherry and earthy flavors with well-integrated tannins with a balanced, lingering finish. On Sale through June 30! A dark ruby color, beautiful aromas and luscious dark cherry flavors are prominent features of this 100% varietal wine. The supple tannins, silky texture and well-integrated oak add balance to an enjoyable experience. Our 2011 Cabernet Franc is a medium-bodied wine 100% varietal wine with a dark garnet color and generous aromas of spice and dark chocolate. This wine has a mouth-coating palette of raspberry and blueberry flavors balanced with well-integrated tannins and oak. It has a balanced, lingering finish. 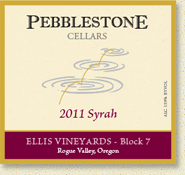 Our 2010 Syrah is a nicely balanced, full-bodied wine with a dark purple color and aromas of spice and chocolate. This wine has great texture and balance with layers of blackberry, dark plum and black pepper flavors. It has well-integrated oak, silky tannins and a balanced finish. Price: $95 for the gift-boxed trilogy. 20% off for Wine Club Members. 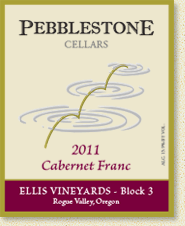 The Mélange à Trois can be purchased directly through Pebblestone by emailing us at pebblestonecellars@yahoo.com, or by calling us at 541-512-1704. 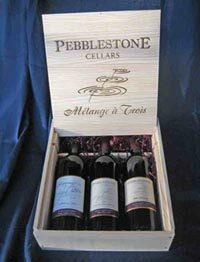 Included in this boxed set will be 3 bottles of Mélanges, AKA Bordeaux blends. The dates will be from our library wines up to '08 and '09. Please request dates of the wines, and we will do the best we can to get them for you. Enjoy a "Flight of Mélanges" for a special occasion. It would make a wonderful gift for the wine lover in your life. You can place a wine order online, or call us at 541-512-1704 to place a phone order, or email us at pebblestonecellars@yahoo.com. 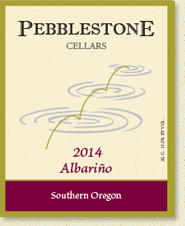 You can also enjoy Pebblestone Wines at discounted prices by joining our Wine Club.